Sendik’s is installing grinding systems at its stores to keep more food waste out of landfills. The local Milwaukee grocer is working on becoming more eco-friendly by helping to keep more food waste out of landfills, by installing Grind-2-Energy systems from InSinkErator at 11 of its 12 metro Milwaukee stores. The grinding systems will convert scraps of food waste to energy. Sendik’s piloted the project a year ago and decided to expand it after good results. The grocer began testing the project last year, using its Mequon store for its pilot project. The result was a dramatic reduction in the waste the Mequon store sent to the landfill. Sendik’s expects to significantly reduce its greenhouse gas emissions with its waste to energy project. Although in recent years Sendik’s has been shipping food scraps to be used as compost, the new waste-to-energy system is able to obtain energy from waste beyond produce. According to Sendik’s spokesperson, Nick Bandoch, it can accommodate leftovers from Sendik’s delis that cannot be composted and grease from cooking meats. 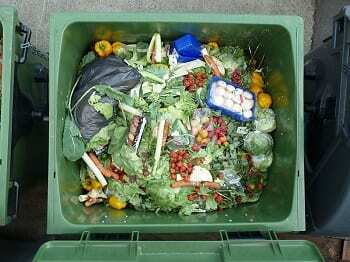 Essentially, how the system works is it takes food waste and grinds it into sludge. This sludge is taken to a bio-digester where it is turned into energy. The food waste is anticipated to produce enough natural gas to heat 1,500 homes for one month, and create more than 407,000 pounds of fertilizer that will go to farms. The grocer expects to remove the equivalent of 4.7 million car miles worth of greenhouse gas emissions through the energy from waste process, reported the Journal Sentinel. According to Sendik’s, it is the first grocer in Wisconsin to take part in a food waste to energy program. Bandoch said that all of the 11 stores will have the grinding systems by the end of the month.